. The Fairey Battle was a British light bomber acquired by the Royal Air Force with the first delivery occurring in June 1937. A total of 2,185 were built - 1156 by the Fairey Aviation Company and 1029 by Austin Motor Company between 1937 and 1940. The Fairey Battle was powered by the Rolls-Royce Merlin engine in Versions Mk I through V. It had space for a three-man crew and a bomb load. Like other aircraft brought into World War II by the RAF, the Battle was soon found to be no match for the superior aircraft and air defenses of the enemy. The battle lacked a reasonable operating range, was slow in relation to the aircraft it faced and woefully under-gunned with only two .303 machine guns. It did not stand a chance against the anti-aircraft fire and fighter aircraft of the German military. By the end of 1940, the Fairey Battle was no longer allowed into combat and was relegated to use as a training aircrew and as a coastal patrol aircraft in Northern Ireland and Iceland. By coincidence, the last of the Fairey Battles were manufactured in September 1940. As a combat aircraft, the Battle’s crew typically included a pilot, observer/navigator and radio operator/air gunner. The pilot was seated in the front of the cockpit in control of one fixed forward facing .303 browning machine gun mounted in the starboard wing and the gunner was in the rear of the cockpit with an .303 Vickers K machine which could be swivelled to shoot at targets. The observer/bomb aimer was located directly beneath the pilot and aimed bombs through a sliding panel in the floor. Four 250 lb. bombs could be carried internally in the wings and an additional 500 lbs. 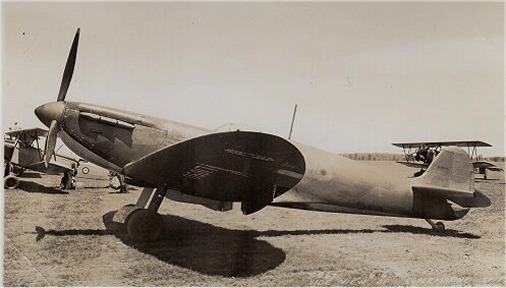 of bombs could be mounted on external racks on the wings. The Fairey Battle was deployed to 17 RAF Squadrons of which most were moved to France prior to Dunkirk to perform aerial reconnaissance and as a reserve to conduct retaliatory bombing on targets in Germany. It was also tasked to provide unescorted low-level tactical attacks against the advancing German army. In all of these tasks, the Fairey Battle offered a dismal performance. Their final failure in France included the loss of 200 aircraft in six weeks, of which 99 were lost between May 10 and 16 1940. All were withdrawn to Britain. 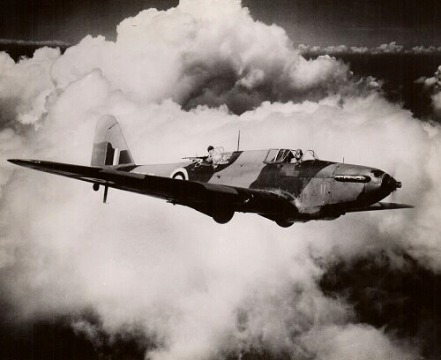 The Fairey Battle’s last combat mission occurred on October 15 1940. Combat roles for this aircraft were assumed by Hawker Typhoon, Republic P-47 Thunderbolt and Vickers Wellington aircraft. 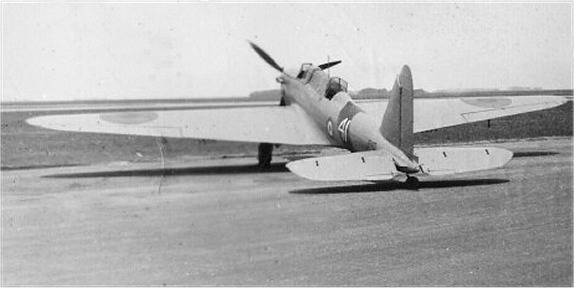 As a training aircraft, the Fairey Battle was reconfigured with a dual-cockpit replacing the standard long canopy. 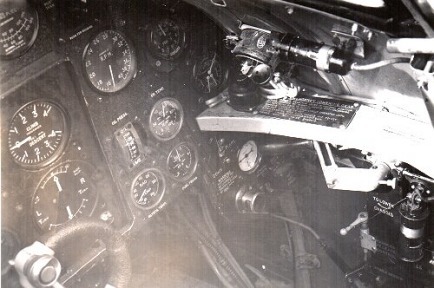 The bombing/gunnery trainer, the Battle T, had dual controls in the cockpit and an optional Bristol Type I gun turret. As the Fairey Battle TT (target tug), it was equipped with a winch for towing target drogues for gunnery practice. 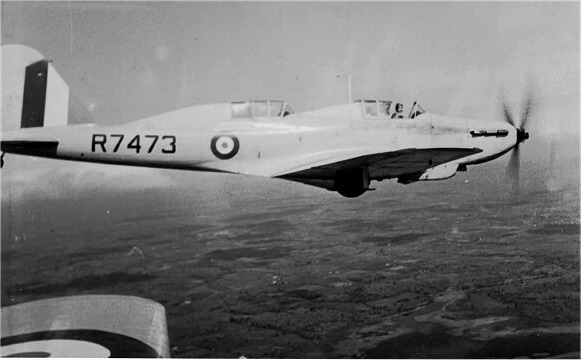 The Royal Canadian Air Force received a total of 802 Fairey Battles configured as Ts and TTs for the British Commonwealth Air Training Plan Bombing and Gunnery Schools. 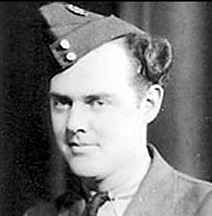 The Battles in this role were eventually supplanted by the Bristol Bolingbroke and North American Harvard but some served the RCAF until the end of the war. 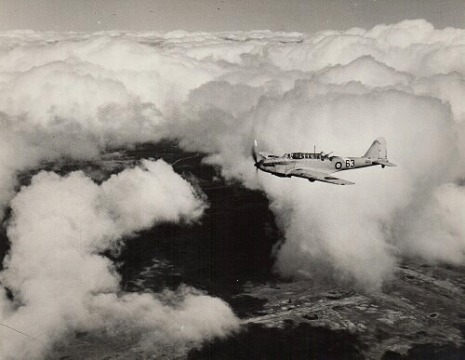 The Royal Australian Air Force took 300+ and the South African Air Force (SAAF) took 150 from the Royal Air Force. The Turkish Air Force also flew the Fairey Battle. One became a test bed for to evaluate various aircraft engines. The Fairey Battle had a maximum speed of 257 mph, 1,000 mile range and a service ceiling of 25,000 feet. 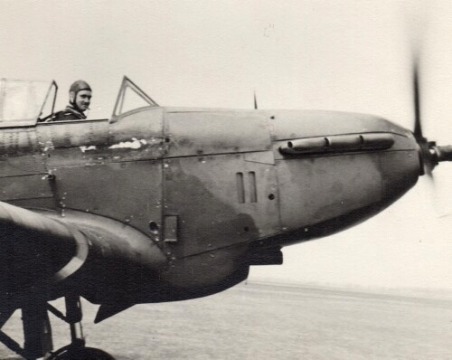 David Jenkins of the Commonwealth Air Training Plan Museum is currently in the process of restoring/rebuilding a Fairey Battle used in the British Commonwealth Air Training Plan. A comprehensive accounting of the Air Transport Auxiliary is available from Wikipedia at from which the following excerpts are offered below. The Air Transport Auxiliary was set up in the United Kingdom in February 1940 with the primary objective of providing working aircraft to the Royal Air Force. In doing so, the ATA ferried new, repaired and damaged military aircraft between various destinations for deployment by the RAF and manufacturing, repair or scraping locations. The ATA also provided some air ambulance services and ferrying of service personnel from one place to another. The ATA worked out of 14 ferry pools dispersed throughout Britain. The organization also had an Air Movement Flight Unit and two training units. Personnel included 1,152 male pilots and 166 female pilots, 151 flight engineers, 19 radio officers, 27 cadets and 2786 ground staff. By 1943, the women’s pay was equal to that of the men. In World War II, the Air Transport Auxiliary flew 415,000 hours and delivered 309,000 aircraft to various locations. These numbers include 147 types of aircraft including Spitfires, Hurricanes, Mosquitoes, Lancasters, Halifaxes and Flying Fortresses. About 883 tons of freight was carried and 3,430 passengers were transported without any casualties. One hundred and seventy-four male and female pilots were killed flying for the ATA. As a civilian organization under the control of the Ministry of Aircraft Production, the ATA relied on pilots who were not suitable for the Royal Air Force or Fleet Air Arm service because of age or physical fitness. Other pilots were recruited from 28 neutral countries. 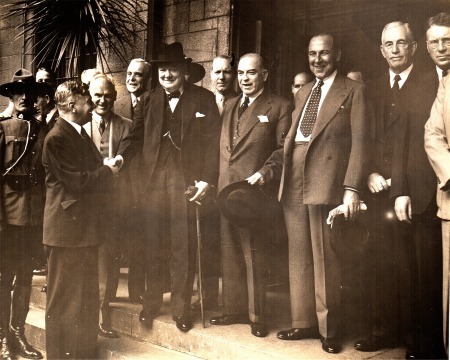 Women from Britain, Canada, Australia, New Zealand, South Africa, the United States, the Netherlands Argentina, Chile and Poland were accepted into the ATA. Fifteen women lost their lives while flying for the ATA. 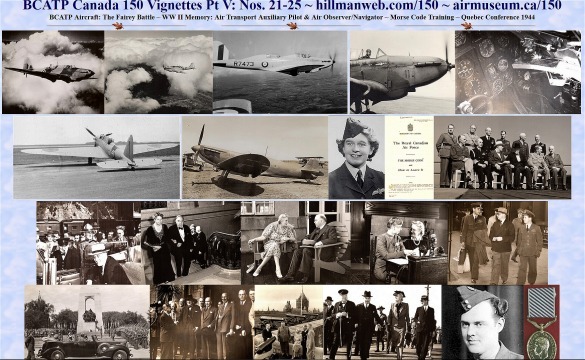 The women were initially restricted to trainers and transports but went on to fly all types of aircraft used by the RAF and Fleet Air Arm with the exception of the largest flying boats. The great contributions of the men and women of the ATA, of which the release of eligible men to service in the RAF and Fleet Air Arm was their biggest victory, surely helped to hasten the Allied victory of World War II. This eight page pamphet was received at the Commonwealth Air Training Plan Museum in June 2015. 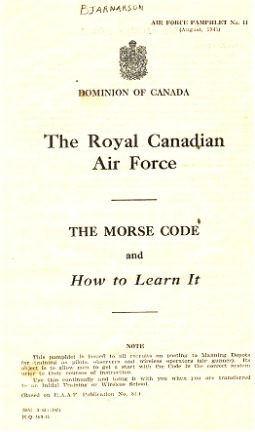 In World War II, It was given to potential RCAF air crew students in the Manning Depots to give them a jump on one of the subjects they would need to learn in advanced training. Admittedly, the Morse Code is a somewhat dry subject but a read of the text translation below will definitely provide some intersting points about the techniques and philosophy of Morse Code usage, an invaluable communication skill required for aerial combat. This pamphlet is issued to all recruits on posting to Manning Depots for training as pilots, observers and wireless operators (air gunner). Its object is to allow men to get a start with the Code in the correct system prior to their courses of instruction. Use this continually and bring it with you when you are transferred to an Initial Training or Wireless School. In 1836, Samuel Morse, an American, introduced the code system which bears his name, and the first message by using the "Morse Code" was sent by telegraph from Washington to Baltimore in 1844. The introduction of the Morse Code was a tremendous advance in signalling, since it meant that communication was no longer restricted to persons within sight of each other, but messages could now be sent day or night over long distances. Although the code invented by Morse was satisfactory for telegraph work certain difficulties were encountered with the rapid: advance of radio or wireless telegraph as it was called and at a convention in London in 1912 a new code was introduced, known as the "International Morse Code". This covers all the languages that use the Roman alphabet-English, French, German, Spanish, etc. The "International Morse Code" is the code used in the R.C.A.F. for signalling by means of wireless telegraphy. The international Morse Code can also be used to signal by visual means (Aldis lamps) and by sound (Klaxon horns for use in fog). The International Morse Code (which from now on we will refer to as simply the Morse Code) is based on two types of signals which differ in the time taken to make them, namely a short signal and a long one, called respectively a dot and a dash. Letters, numerals and other necessary signals are made up of various combinations of these dots and dashes. The Morse Code has the advantage that, unlike the Semaphore Code, It can be used with various types of signalling equipment which can be selected to suit requirements. The use of this code provides a means of signalling over short or long distances both by day and by night. In visual signalling the dot and the dash may be represented by the exposure of a light for short and long periods (The Aldis Lamp). In wireless telegraphy the operator makes dots and dashes by pressing for short and long intervals a key, which actuates some form of electrical circuit. At the receiving instrument the dots and dashes may be reproduced by short and long buzzes on a telephone receiver or by means of musical notes of short and long duration representing the dots and dashes of the Morse Code. Pilots – Aural 8 w.p.m. - Lamp 6 w.p.m. Observers – Aural 8 w.p.m. – Lamp 6 w.p.m. Wireless Air Gunners – Aural 18 w.p.m. – Lamp 6 w.p.m. The standards given above are the minimum standards required on completion of training. Higher standards are required on operational units after practice. Morse is a "sound language". To an operator, Morse symbols speak as clearly as the spoken word. It depends on rhythm for its operation, and it is important that it be appreciated as rhythm from the start. It is usually written on paper in "dots and dashes." This is for the sake of convenience in writing it down. Unfortunately, most learners attempt to memorize the code in this form, It is easy to learn, and they have no trouble in reading Morse at slow speeds - say up to 8-10 words per minute. The reason is this. At these slow speeds, it is easy to pick out the dots and dashes, count them up, and compare them mentally with the Code as it was learnt, sort out the letter intended, and write it down. This, of course, is a long and involved process and requires a certain agility of mind. At speeds greater than about 10 words per minute, the above process unfortunately becomes impossible and the learner, working on this system cannot cope with the higher speeds. However, as the speed increases, the ear gradually adapts itself to the increase in speed and change of sound and, over 15 w.p.m. it learns to recognize the letters themselves as sounds and not as collections of dots and dashes. Nevertheless, it goes through a continual process of readjustment as the speed changes. The process after this is much simplified. The ear hears a collection of dots and dashes as a definite sound. This immediately registers itself as a letter and is written down automatically, often without the writer being conscious o! what he has written. It is clear, then, that the person who learns the code as sounds to start with, need not readjust his ear all the time as the speed increases, He also learns to write down Morse sounds as letters instead of first having to translate them into dots and dashes. A simple analogy is given here. The child learns its multiplication tables by the singing method. This singing not only allows the child to memorize the tables, but imprints them on the mind as a sound. - Ask yourself the following simple questions-7 x 7, 7 x 8, 7 x 9-the answers come to mind automatically without thinking. Now ask yourself 7 x 17, 7 x 18 - you have to calculate them, as you have never learnt them before. In actual fact, the simple multiplication tables are more than memorized. The sound 7 x 7, seven times seven, or however you learnt it, is part of a larger sound, the remainder of which is 49. In the same way, the Morse Code symbols should automatically become letters. Thus didah brings to the mind "A" automatically - not didah is dot dash, and that is ``A". It is possible, then, to learn Morse by letters and not by dots and dashes and it is for the above reasons that one should start with the correct method .and not with one of the various methods often found in use. It is most important that the above principles be studied and understood before proceeding further. The Code is easy to learn. One or two hours' concentration will allow the student to master it, whether he learns by dots and dashes or by any other method. Many students attempt to practise the code and may practise for weeks without really knowing the symbols for all the letters. This is merely wasting time. The student must ensure that he knows the code thoroughly before attempting to practise it. When a child is taught to speak, it is shown an object and the name of the object is repeated until the child is able to form a mental picture of the object whenever the name of the object is mentioned. Conversely, when the object is presented, the child is able to repeat the name of the object and thus a WORD vocabulary is built up. A similar· procedure is used to .learn the sound of letters,figures and punctuation marks in Morse Code. Just as the sound of a word conveys to a child a mental picture of an object, so· does the sound of a letter in Morse Code convey to a wireless operator the letter it represents. It is imperative, therefore that the sound of any letter, figure or punctuation mark should always be sent the same way in Morse Code, with no variations. The first step, therefore, in learning the Morse Code is to learn the proper SOUNDS of the letters, figures and punctuation marks. THIS IS VITAL4Y IMPORTANT. The sounds of all letters, figures and commonly used punctuation marks are shown in this pamphlet. Memorize them, always making the same sound for a particular letter, figure or punctuation mark. Do NOT one time say da·didahdit, to represent the letter "C" and next time say da di, dadit. In other words do not try .to SPELL out the. components of the sound which represents a particular letter, figure. or punctuation mark - merely repeat the sound as a whole. No one can write a sound but a standard set of symbols can be used to represent the sounds of the Morse Code in the same way that music is written, e.g. the letter "A" translated in to Morse Code consists of an interrupted sound and is written Didah - the "Di" indicating a sound is heard for a fraction of a second and the "Dah" that it is heard for a slightly longer period of time. In their words, the SIN.GLE sound "Didah" when sent at 5 w, p.m. or 25 w.p.m. always represents the letter "A" and is always sent as "Didah" NEVER as "Di, Dah." If the transmitting wireless operator sent "Di Dah", he would be sending TWO sounds. The receiving wireless operator would translate these TWO sounds as "E.T." The interrupted sounds representing the letters, figures and punctuation marks would always be considered as SINGLE sounds NOT as several sounds joined together. For instance when speaking the SINGLE word Canada, it is never broken down into Ca na da, as it loses its word meaning. This timing or rhythm in making the sounds of the Morse Code is very important and unless thoroughly understood great difficulty will be experienced in becoming a first rate wireless operator. After reading and understanding clearly the remarks above, the pupil can proceed to study the code. A glance at the code symbols (page 6) will show that the code is not written down in dots and dashes, but in the form in which it sounds to the ear. This immediately eliminates one mental process - that of translating it from dots and dashes to sound or vice versa. It will also be seen that the sound is shown first and the meaning second. It is important that the student should learn it in this manner - a sound representing a letter and not vice versa: e.g., learn that "didah’’ means ``A" and not "A’’ is ``didah". It will also be seen that full emphasis is placed on the dashes while the dots arc slurred. In other words, the tendency should be to stress the length of the dash thus contributing to the rhythm. First, turn to (page 6) which shows the code and cover up the column showing the letters of the alphabet. Second, learn to sing the Morse symbols, slowly at first, and later faster and faster. Nominally the time for a dash should equal that for three dots. If you accentuate the dash you will get the idea much better. Try to slur the dots together, and sing the symbol. Finally, uncover the letters and discover the meaning of each sound after you learn to .sing it. You can actually learn Morse by this system up to 6 or 8 words per minute, or even faster, without ever hearing a Morse signal. Continue singing the Morse symbols until you can’t sing the sounds any faster. By this time, you will have got the idea of the rhythm of the code, you will know it, and should be able to receive it. Try singing to yourself Morse symbols for the, signs, oil billboards, street names, etc., as you go about your daily duties. It is of the greatest importance that you get an even flow in all your Morse characters and not a jerky or uneven sound. Many of the letters become unreadable if they are not made correctly. One of the chief errors usually arises in the letter "C". This is, of course, dahdidahdit. Learners make various errors in this such as .dah dit, dah dit, or dah, didah dit. the letter "F", dididahdit, - becomes di dit dahdit - "L", didahdidit, becomes didah, didit, and so on. Concentrate on getting a smooth and continuous sound and do not separate the elements of any Morse symbol. Next think of Morse as dots and dashes and avoid such methods as learning opposites. You will find that, after a few days, Morse letters come to you automatically and, by the time you are ready to start serious practice, you will be well on the way to a speed of 8 to 10 words per minute. As the primary function of a wireless operator is to translate radio signals into written words, he must be able to write a neat, legible hand at fairly fast speeds. Try writing from dictation at a speed of 25 words per minute (1 word equals five letters) and continue practising until you can do this easily (writing with pencil only). Develop a free easy style of handwriting, always using a pencil of at least 4 inches in length, never smaller. (a) A dot is taken as the unit. (b) A dash is equal to three dots. (c) The space between any two of the elements which form the same character (letter, figure or symbol) is equal to one dot. (d) The space between two characters is equal to three dots. (ii) Any number and combination of letters, figures or symbols signalled consecutively so as to form one entity is termed a group. A group consisting of letters forming a word in plain language is termed a word. The space between two groups or words is equal to five dots (for speeds of 20 w.p.m. and over). (iii) For speeds below 20 w.p.m., the space between characters and between words should be inversely proportional to the speed, i.e. the slower the speed, the longer the space . The elements forming each character must always be made at a speed which, with proper spacing, is equivalent to not less than 20 w.p.m. This is necessary in order to preserve the correct rhythm at slow speeds. (i) A horizontal line over letters expressing a sign denotes that the elements forming these letters are made as one Morse Code symbol and not as two separate letters. (ii) The term "barred" is used to denote any accent or modification to a letter. In describing a letter phonetically the term "barred" is used after the letter, e.g., "A barred" means an accented A, and is written A with a bar over it. If you learn the Morse Code in the manner just described you will find it very interesting, and also your progress will be rapid and sure, and, more important still, you will not forget it. It is, however, very necessary to CONCENTRATE to the best of your ability during the Morse Code instruction periods, as it is a MENTAL process and no one can learn it for you. YOU are master of your own destiny. If you do not concentrate your progress will then be slow-you will lose interest-your progress will then be slower still and so on, until finally you begin to detest the Morse Code instead of enjoying it. If, while receiving, you make a mistake or miss a letter DO NOT get excited or try to think of the sound of the letter you have missed. Relax and wait for the next sound and copy it. It is easier to relax and wait for the next sound if your mind and writing hand are occupied between the time the mistake is made and the next sound. A good way to occupy yourself during this period is to make one or more "X's" where the missing letter should be. This tends to prevent nervous tension and results in less mistakes. If you listen to good Morse sending at any speed you will notice the rhythm. The dots and dashes bear the correct relationship to each other and the spacing between the elements of each character, and between characters and words, is in accordance with the principle laid down in this pamphlet. Timing is the essence of good sending. Everyone has listened to a mediocre piano player who THOUGHT he was making music. It is the same with the poor sender - he THINKS he is sending Morse. Do not try to judge the correctness of your sending yourself. If the other fellow says it is bad, it IS bad. Do not be too anxious to practise sending before you reach your first training unit. Instruction in sending must be practical to be of value - it cannot be given in a pamphlet. You should be able to receive at a speed of 6 words per minute or more before you attempt to practise sending. There is only one person who can make you a first class wireless operator, that is Y 0 U R S E L F.
Copyright 2013. Greg Sigurdson. All Rights Reserved. 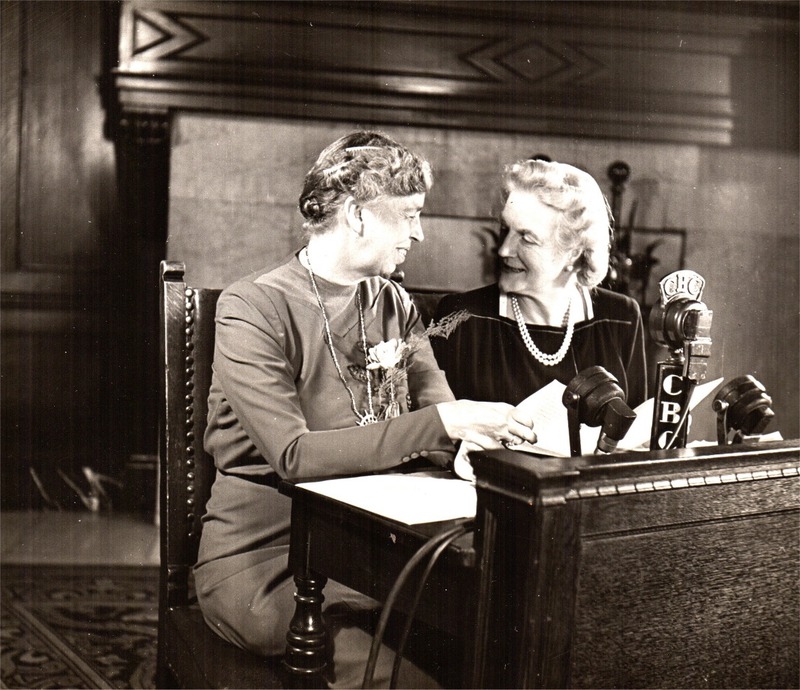 The wives of Churchill and Roosevelt, Clementine and Eleanor also attended the conference. A donation to the Commonwealth Air Training Plan Museum yielded the accompanying photographs taken at the conference. Photo captions with quotation marks are official press release captions released with the photos at the time. Top Men at Quebec The President of the United States and the Prime Minister of Great Britain together with combined Chiefs of Staff pose for photographers on the Terrace of the Citadel at the conclusion of their joint conferences in Quebec. Seated, left to right, are: General G.C. Marshall, Admiral W.D. 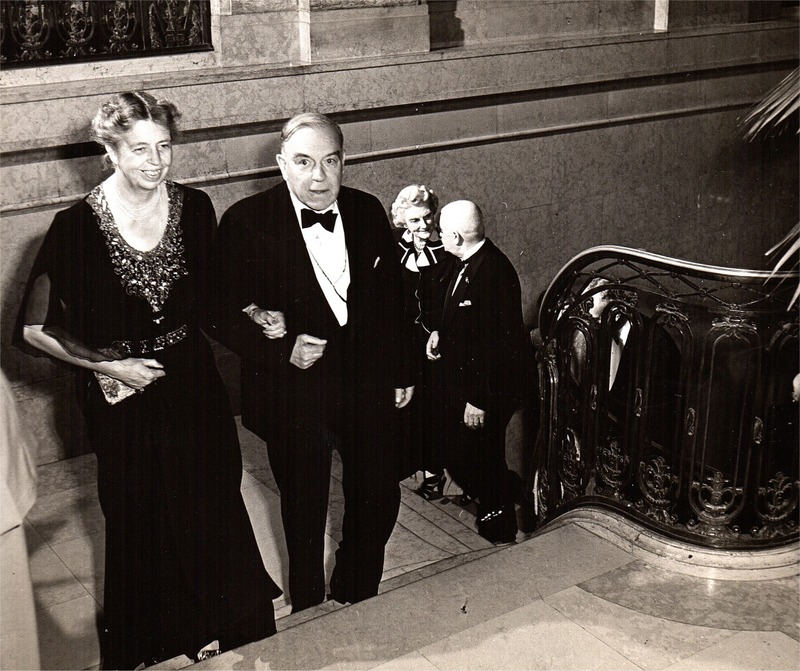 Leahy, the President, the Prime Minister, Field Marshall Sir Alan Brooke, Field Marshall Sir John Dill. 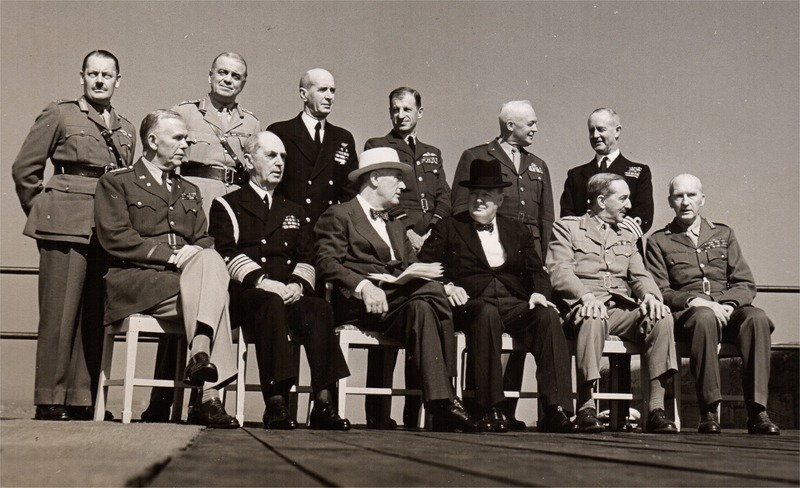 Standing at the back, from left to right are: Major General J. Hollis, General Sir Hastings L. Lamay, Admiral E.J. King, Marshal of the RAF Sir Charles Portal, General H.H. Arnold, Admiral of the Fleet Sir Andrew B. Cunningham. US President Franklin D. Roosevelt . . . in his Presidential Automobile with Britain's Prime Minister Winston Churchill astride the car, at the Quebec City train station. 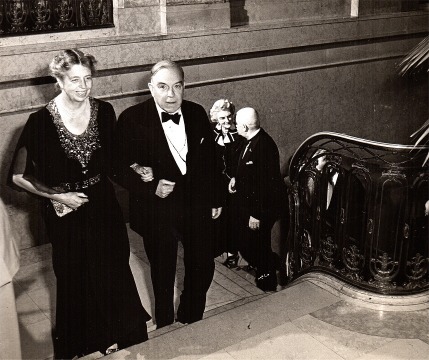 The Prime Minister's Reception Following their guests up the broad sweep of the marble stairs at the Chateau Frontenac the Prime Minister and Mrs. Roosevelt, followed by Mrs. Churchill and the Lieft-Governor of Quebec, Sir Eugene Fiset, proceed to the banquet hall, where they sat with more than 300 quests who attended the Prime Minister's reception. A Quiet Chat Seated on the terrace at the Citadel overlooking the broad sweep of the St. Lawrence below, Mrs. Churchill, wife of the British Prime Minister, chats with Canada's Prime Minister as the two await the rest of the party before meeting a battery of press and movie photographers. A vigilant National Film Board photographer caught this exclusive photo. On The Air Speaking to the Canadian people over the CBC network, Elanor Roosevelt and Mrs. Churchill chat together for photographers before they deliver their messages. 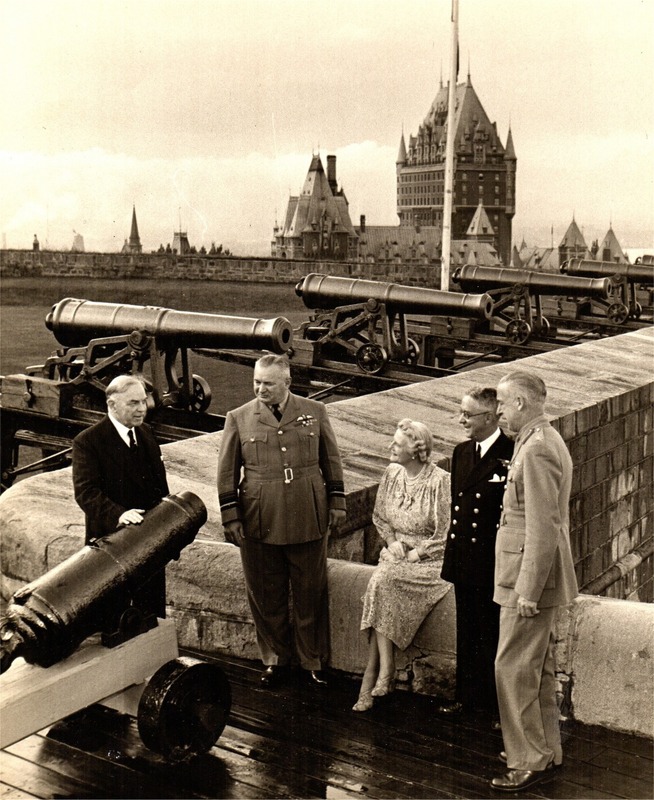 They spoke from the radio room of the CBC at the Chateau Frontenac Wednesday evening, just before attending the reception of Canada's Prime Minister there. C.G. Power, General Sir Alan Brooke, Wing Commander Gibson. 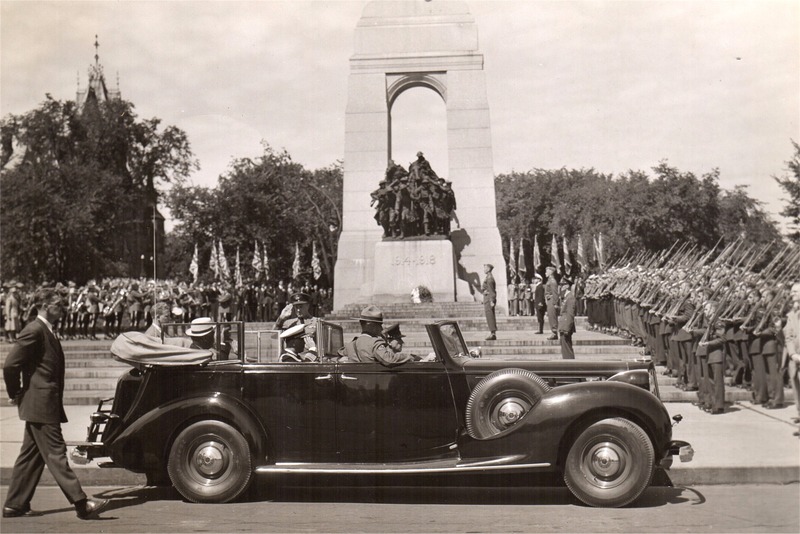 President Franklin D. Roosevelt in Presidential automobile passing the Cenotaph in Ottawa. 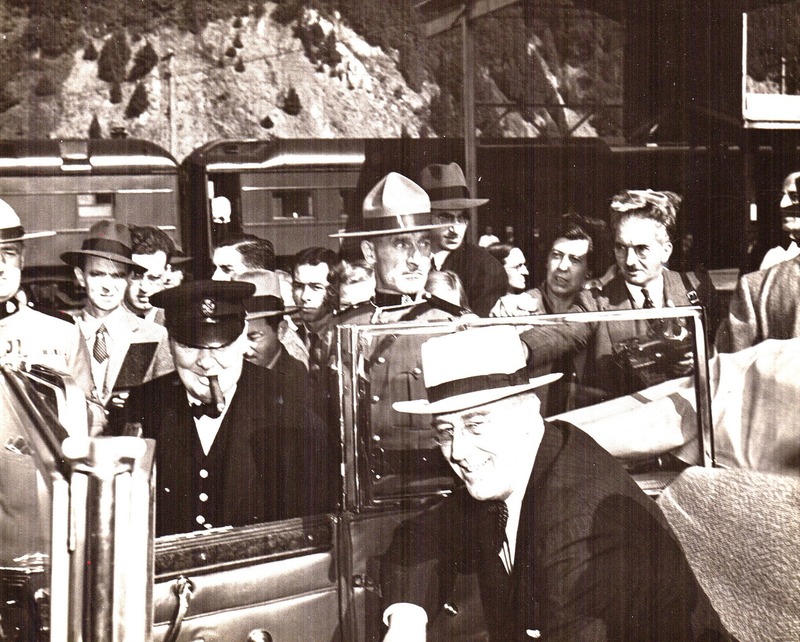 (There is no record that FDR visited Ottawa before or after the 1944 conference. Clementine Churchill at the Citadelle in Quebec City. Old Friends Meet Again First to greet the British Prime Minister on his arrival in Quebec City for the Second Quebec Conference was Canada's Prime Minister W.L. 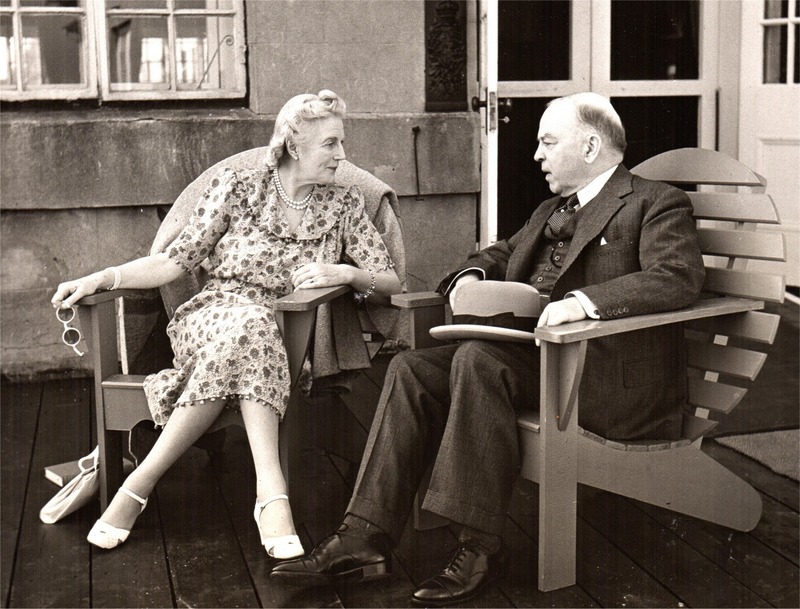 Mackenzie King, who boarded the Churchill train as it came to a stop, welcomed Mr. and Mrs. Churchill to Canada. 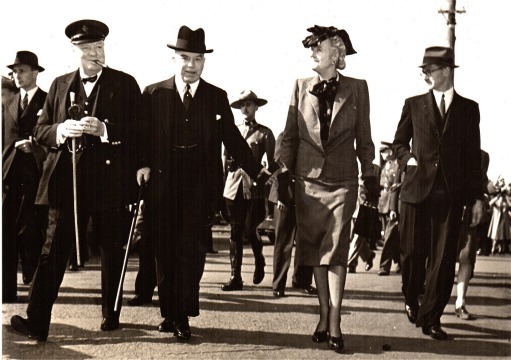 Then all three walked over to the automobile of the United States President on an adjacent siding, and the entire party proceeded to the Citadel, where they are guests of His Excellency the Governor General and Her Highness Princess Alice during the duration of the Conference. Photo shows Winston Churchill, Mr. King and Mrs. Churchill as they proceed to greet the President. The following oral history was received at the Commonwealth Air Training Plan museum in June 2001. In the letter dated January 20 2001 that accompanied the donation, a man by the name of Willie Freitag explained that Cliff Shirley, the author of the oral history, met him while teaching Willie’s younger brothers in the school in Alameda Saskatchewan. He said that Cliff taught school for four years before joining the Royal Canadian Air Force in 1940 and was now 87 years old and as sharp as he was 60 years ago. When Willie told Cliff that the museum was looking for `war stories,’ Cliff wrote his oral history which he sent to Willie who then sent it to us. I'd like to comply with your request for comments about air force during World War by telling of several learning experiences. I have nothing but praise for what the British Commonwealth Air Training Plan (B.CATP) did for me. I graduated with an "Air Observer's Wing" (an "O" ). The air observer course specialized in Navigation and Bombing with a smattering of Gunnery, Wireless and Meteorology in stages of about sixteen weeks each. In the British Air Manuals, the Canadian Air Observer's training for the handling of a responsible and exacting task, are commended. About 1942 Commander Harris decided that Air Observer (0) be changed to Air Navigator (N) because the task of navigation did not give the eyes of the navigator time to adjust over the target to use the bomb sight accurately. I think bombing was my favorite and a very successful part of our training, but later, when new instruments were added to our job, I understood Commander Harris' thinking. The organization by BCATP was superb--it almost seemed our name was on our bunk before we arrived and our plate at a table was waiting to be filled with good food . Next came a posting to an operational training unit in Yorkshire, England. What a difference -- larger and faster aircraft (Wellingtons), a crowded and hostile air space and flying at night with little or no visibility of the ground (everything was completely blacked out). The training was quite concentrated and chatter among our airmen involved a bit of casual bravado (to me that word means "fear"). At the end of this course, we were sent to a crewing-up arena or posted to squadrons. At the end of the first tour (30 trips) I was posted to a test crew job. The crew was RAF, Our tasks were challenging but not too risky. Many of the results were quite useable. In fact, we were treated as sort of "gen" men flying a radial engine Lancaster bomber. Our pilot's name was King Cole and he could play the part with gusty bravado using a cockney accent. To be quite honest, I liked the "King" and he was a talented pilot and captain. I learned a lot about navigation during this six months and what I learned served us well; but – I ran into a problem. With success and experience came a promotion. I now moved to the British Officer's area. When a young man brought up in a friendly farm environment in Saskatchewan tries to adjust his culture to that practised by British officers, somebody is going to be unhappy. I soon understood why MacKenzie King said Canadian air men would keep their own identity. I couldn't understand how Royalty could inspire men to be arrogant and haughty; I couldn't understand how a rural Saskatchewan school teacher should be regarded as "dim, daft, and difficult". 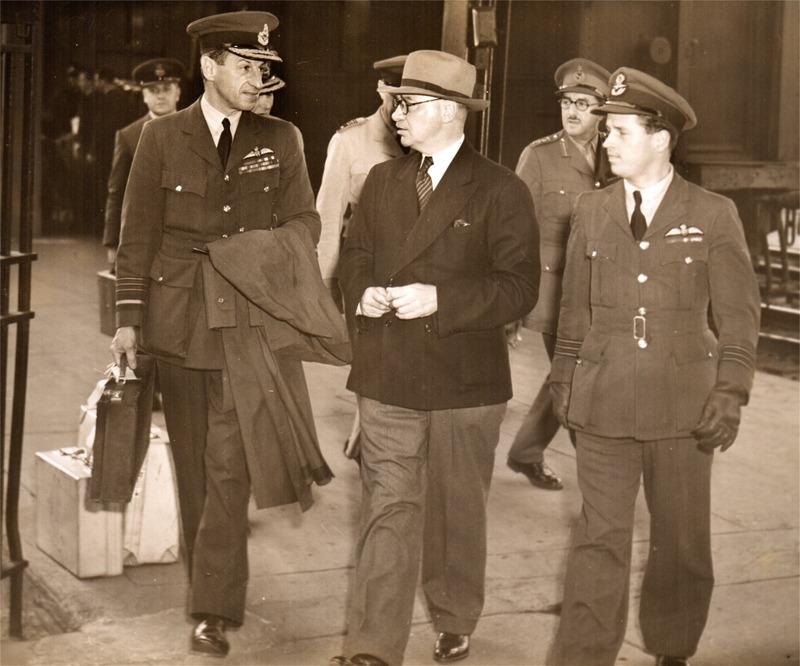 I had chosen freely to join the RAF, and I proudly kept my accent, vocabulary and behaviors. Time cures most problems, and I have to concede that RAF airmen and ground crews were trained very well and made determined efforts to hit their targets! We did our second tour in Lancaster Bombers at from 15,000 to 20,000 feet. We. (Flash and crew) did our share of Ruhr Valley bombing and mine laying trips. We had one interesting trip when we bombed near the toe of Italy, landed in Africa and bombed a city in northern Italy on the way home. This seven hour trip was quite different to others. English Commander Harris believed in concentrated bombing of bombers in a short period of time, with a very large number of German fighters who were dedicated and well trained; their air craft were almost equal to Spitfires. Sometimes they entered our circuit when we were landing or at takeoff. The next line is hard to write. Good bye to our pilot (Flash ). He was killed four days after completion of our second tour. If God needed a talented, gifted and dedicated Englishman, his choice was perfect, but heart breaking. I still ride my Raleigh bicycle that he liked to borrow. I learned a lot from my ``hero". I can't say I enjoyed searches for airmen who didn't return from flying over dangerous terrain. Most of our searches were failures. I didn't look forward to what was to be bombing in the Asian area . I had no regrets when peace was declared on Aug 14, 1945. If when reading the honour rolls of Arcola-Kisbey and Carlyle, I think these districts in Sask. lost more than their share of uniformed men. To go from BCATP as a student and to return to BCATP as an instructor requires a little luck. Whether we call it luck, or that someone had me by the hand, or that BCATP did its job--I say this: Willie, there's a silent "thanks" in every line I write. Writing the whole thing brings back many sad memories. It's too cruel to believe that civilized nations have to resort to war to settle arguments. The next conflict will have weapons that could shake planet "Earth", but I am sure it will never happen. When we (my wife and family) went to teach school in Redvers, one of the first men I met was Chris Sutter. He had an experience where air space was very crowded. He is the sole survivor from two four engine bombers that collided over enemy territory. He made a successful parachute landing and in spite of a sore back, I am sure this airman also says a few "thanks" and has many memories. Willie,--I don't think there will be a volume two. I taught school for many years. I hope the World War improved my abilities as a teacher. I taught many wonderful school students. They were always good to me. Those years I wish I could repeat. SHIRLEY, FS (now WO) Clifford Alvin (R79864) - Distinguished Flying Medal - No.158 Squadron - Award effective 31 December 1942 as per London Gazette dated 12 January 1943 and AFRO 232/43 dated 12 February 1943. Born in Carlyle, Saskatchewan, 1912; home there or in Ladner, British Columbia (teacher); enlisted in Regina, 28 November 1940. Trained at No.2 ITS (graduated 31 March 1941), No.3 AOS (graduated 23 June 1941), No.2 BGS (graduated 4 August 1941) and No.1 ANS (graduated 1 September 1941). Commissioned 1942. Invested with award by King George VI, 16 March 1943. 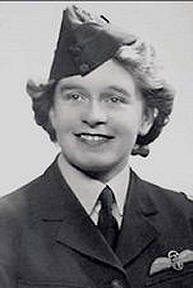 Flight Sergeant Shirley, as navigator, has participated in many attacks on important targets in the Ruhr and the Rhineland. He also took part in two of the attacks on Rostock, all three 1,000 bomber raids on Cologne, the Ruhr, and Bremen, the highly successful attacks on Genoa and the daylight raid on Milan. His standard of navigation has invariably been of the highest order. Throughout, this airman's conduct and determination has set a fine example both in the air and on the ground.